Claude Du Vall was born in Normandy and came to Britain as a Footman to the Duke of Richmond. Once here he sustained a wealthy lifestyle by becoming the head of a notorious gang of highwaymen. Du Vall was famed for his way with the ladies. So much so that many high profile women appealed for a pardon before he was hung. He once insisted on dancing with one of his victims after robbing her husband of £100! Du Vall was hanged in 1670 and buried at Convent Garden. His grave was marked (now destroyed) by a stone with the following epitaph:- "Here lies Duval, if male thou art, look to your purse, if female to thy heart." Shortly after Claude was hung, the proprietors of the Holt Hotel were found bludgeoned to death in their bed. Claude was blamed for his death. The crime was never solved. 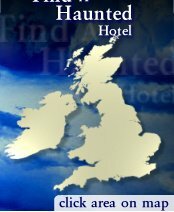 This WeekendHaunts event will begin with your arrival at the infamous Holt Hotel on Friday where you can explore the area or just relax in the lovely surrounds of the Holt Hotel. Alternatively you can take part in our Psychic Workshop where you will learn, amongst other things, about spirit guides and mediumship and you will be able to use the skills you have learned later that night. The Price for this WeekendHaunts event is £159, including Dinner, Bed and Breakfast for one night, psychic entertainment and full paranormal investigation.